· Determine amount to use according to bottle label. · Make sure equipment is OFF. 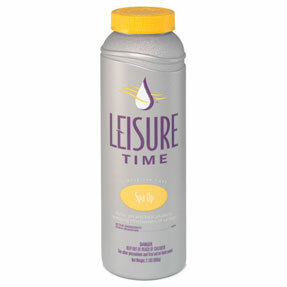 · Add applicable amount to the spa water. · Turn on circulation system for 1-3 hours. · Retest water after 3 hours. · If pH is still below 7.2, repeat steps 1-5. Advantage: Use as part of the Simple Spa Care Program. Tips: For best results, dissolve granular products first by adding to a small, plastic pail filled with water. Then, apply the solution to the spa water.